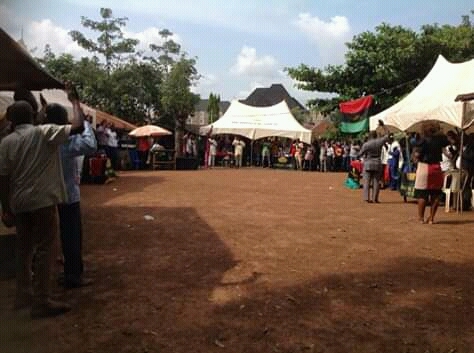 THE formidable and indefatigable IPOB in Ebonyi state on Sunday 4th November, 2018 inaugurated Amike-Aba zone 2 in Ebonyi LGA Abakaliki province of Biafra land. 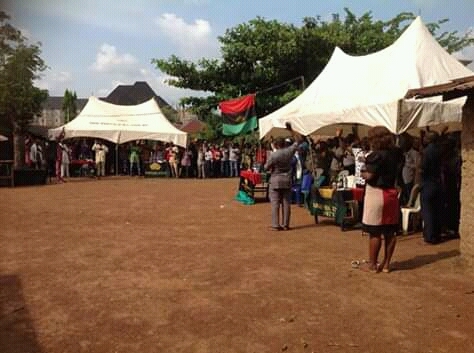 The inauguration ceremony started with intro of what the magnanimous gathering was all about by Mazi Wisdom Ezike Nwambam, the Ebonyi North senatorial district coordinator of IPOB who anchored the program, followed with opening prayer and opening remark done by Mazi Nwele Ikenna the deputy zonal coordinator of Amike-Aba zone 2, on behalf of the zonal coordinator Mazi Eze Daniel Obinna. The introduction of the guests on the event was done, followed with the blessing of the cola by elder Ezekiel from Amike-Aba unit 1. 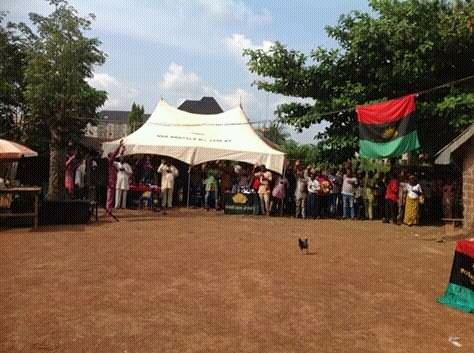 The IPOB Ebonyi state PRO, Bishop Nwachinemere Stanley (Biafra Bishop) urged those who attended the inauguration including all the unit coordinators and all the principal officers in the zone to work hard in discharging their primary responsibilities in the quest for Biafra restoration. 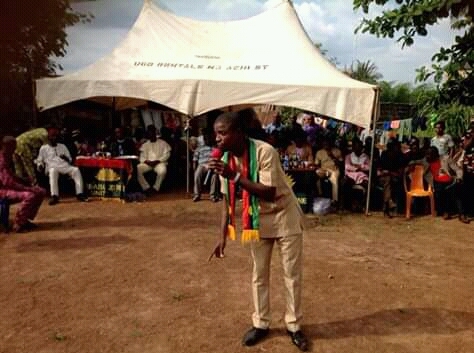 The Ebonyi north senatorial district coordinator Mazi Wisdom Ezike, on his official address to the people called on those who are yet to embrace the gospel for Biafra restoration to do so because according to him "there is no much time left". 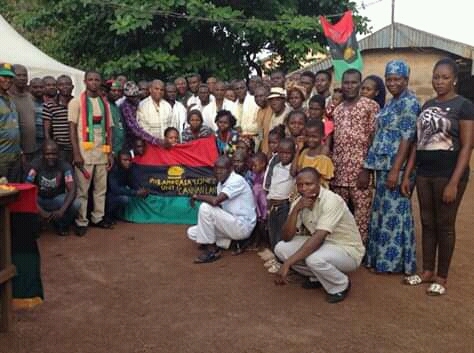 Mazi Igwe Ogbonnaya the able leader of IPOB in Ebonyi state on his long teachings, expressed joy over the rapid growth of Amike-Aba from unit to zone one and zone two, he encouraged them to do more assuring them that all their doggedness will never be for a waste, according to him, " never give up in your guest to restore Biafra because in the end, you will definitely be rewarded for all your work". He went further to add that nothing can stop Biafra from being restored, irrespective of what the Nigeria government and Britain are doing to subdue it. Mrs Nwachukwu Jane, the coordinator of Amike-Aba unit 3 who spoke for and on behalf of the entire unit coordinators under the zone, expressed high level of gratitude on how the members and non-members of their zone came out in large number to participate in the inauguration, she promised they will work harder to deliver to their anticipation as long as the struggle is concerned. The inauguration was officially done by Mazi Chukwuma Oke, the local government area coordinator of Ebonyi in Ebonyi state (Abakaliki province). Then After, the zonal coordinator Mazi Eze Daniel Obinna also known as Saint Obinna Nke Mbu, officially inaugurated Amike-Aba unit 1 coordinates by Ogodo Uchenna P, unit 2 coordinates by Eze Ifeanyi Donatus, unit 3 coordinates by Anyim George Irokansi and unit 4 coordinates by Jane Nwachukwu, he charged them to be up and doing in order to make their zone one of the best in Ebonyi state and beyond. Speaking with the media before the programs for the event was brought to an end, Evangelist Mrs Chioma Iwuala the Ebonyi state IPOB women leader expressed joy on the activities that made the event, she noted that what she saw on the event was a clear evidence that Biafra restoration is at hand. She appreciated the zonal coordinator and the organizers of the big event, at the same time she encouraged more women to come out and give their full support to get Biafra restored, as to pave way for a better tomorrow for the future Biafrans. The state executives, Ebonyi North senatorial district executives, Amike-Aba zone 1 & 2 executives and the executives of the units under Amike-Aba zone 2 being inaugurated were present on the inauguration, others who massively attended the inauguration were the elders and the Biafra veterans. On his closing remark, Mazi Eze Daniel Obinna the Amike-Aba zone 2 coordinator, appreciated those whom despite their tight schedules, availed themselves for the inauguration especially the state coordinator Mazi Igwe Ogbonnaya and his executives. He assured Biafrans all over the world that they shall continue to push forward till Biafra is fully and totally restored as a sovereign state from Nigeria. He equally reaffirmed total loyalty to the leadership of Mazi Nnamdi Kanu the supreme leader of IPOB worldwide, he appreciated elder Igwe James who has so far allowed them to do their zonal meetings in his compound. He prayed Chukwu-Okike-Abiama to bless each and every one who contributed in one or two ways for the huge success of the inauguration.